We have seen plenty of talented individuals who have great capacities in professional ground and experienced individuals who have earned remarkable knowledge but have failed to live professional life at its best, whether it is financial or position wise. The question is, why?? FroxJob has as answer for that. And the answer is a bad resume. You better believe that a resume can play as a deciding factor on a good start up of your career or throughout the positive growth of your professional life. A bad resume can be anything from representing you in a wrong way personally and professionally to not living up to your experience. Why do you think employers shortlists on the basis of resume and cuts of 90% of the applicants solely on the basis of resume? Because a resume helps build your impression on employers based on which either they will call you for an interview or just discard your resume. Yes, Resume is that powerful in terms of your career. Most people knowing the fact how crucial resume is, still neglect its importance and put very little effort on the resume. Our experts have realized, resume becomes weak due to negligence and lack of proper knowledge and guidance available in the market on how to make the resume strong. To build a good resume, let your resume speak for who you are. Let your resume represent your true self. Let your resume communicate your experience, knowledge and skills. 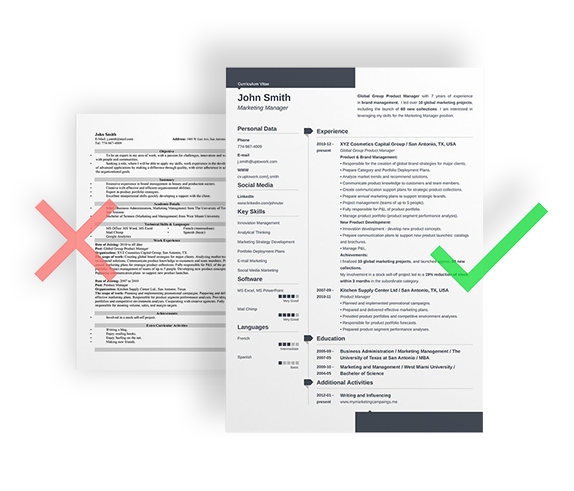 Let your resume be clean and precise. And it requires certain skills to be able to execute this. That is why FroxJob has come up with this free service to build your resume from scratch for both new and experienced individuals. Let us handle your resume and let our experts express your potential in the resume so you can get the best of what you deserve and show how you can be resourceful to companies whether you have experience or not. You only have to let us discover you so our experts can identify your true skills and talent that can be of a possible asset to the organization. Take an appointment and let your resume reflect you and your true potential.